Frame: EvilFPV Micro Ghoul 100 – The Micro Ghoul 100 is the 2″ version of the Ghoul 220 5″ Freestyle frame. 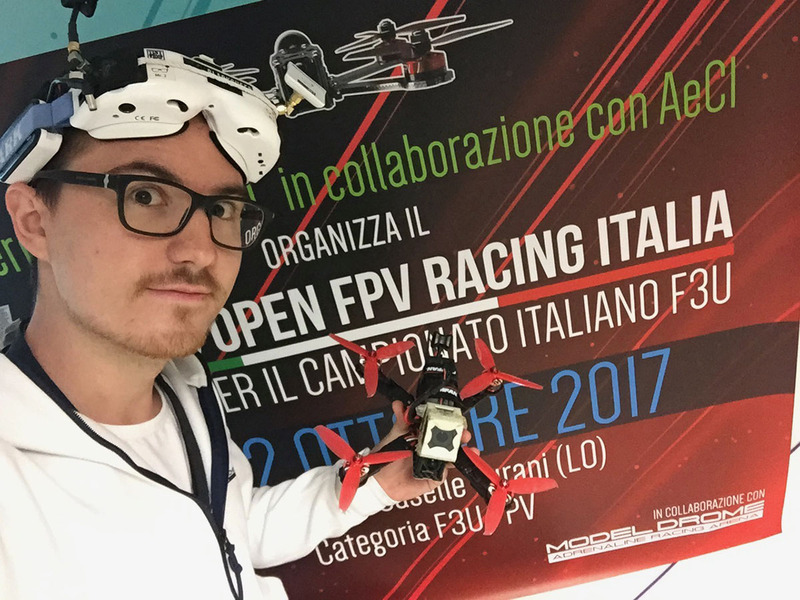 Flight Controller: Furious FPV Racewhoop – The best 16×16 FC around, from the Furious FPV team! ESCs: Furious FPV Fishpepper 5A 4in1 – 4in1 16×16 ESCs for a nice and clean build, perfect for 2″ at 2S. Motors: Gemfan M0806 6200kv – Great little motors, they really work great with this setup. Alternative Motors: Born To Be The Best 0806 6200kv – They are almost like the Gemfan ones, but with a standard prop mount. Props: Gemfan Hulkie 2040-3 “Squared hole” for M0806 – Awesome durable and efficient props for 2″ quads. Alternative Props: Gemfan Hulkie 2040-3 “Standard” – The standard version for the BBB motors. FPV Camera + VTX: FXT FX798T – Decased and with dipole “stinger” antenna. To fit a CP you will need to remove it and soldering it back after assembly. Receiver: FrSky XM – Great micro receiver from FrSky, but you can also use a R-XSR for diversity etc, or any micro receiver to suit your transmitter. LiPo: Turnigy nano-tech 300mAh 2S 45-90C – Nice cheap LiPos with the perfect power to weight ratio for this setup. Frame: EvilFPV Ghoul 220 – A made for freestyle 5″ frame, has proven himself as a great racing setup too, with it’s easy of builds and repair. Very strong and durable, cut with the best carbon fiber for quad frames (contact me if you want one). Flight Controller: Flyduino KISS FC – Keep It Super Simple for real, this FC does not only just works, it’s great! Smooth, locked in and most of all, it’s very reliable! 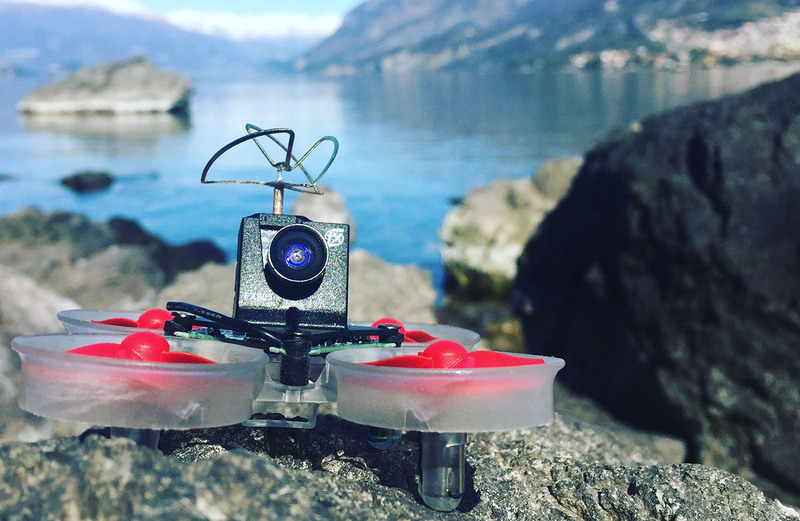 ESCs: Flyduino KISS ESC – Like the FC, these ESCs will get you in the air fast and will keep you there! No messing around with configs and burning things for a bad parameter. And the telemetry thru the rx is gold! Motors: Gemfan GT2206 2300kv – A sweet set of smooth and efficient motors from Gemfan, love them for freestyle. Props: Gemfan Windancer 5042 – The best freestyle props from Gemfan, with awesome durability and efficiency. Mostly in juicy Watermelon style. FPV Camera: HS1177 + 2.5 GoPro Lens – Just plain and simple HS1177, with a Sony sensor that offer great video clarity even in the hardest light conditions with the right settings, the 2.5 GoPro lens is a must these days for freestyle and race. 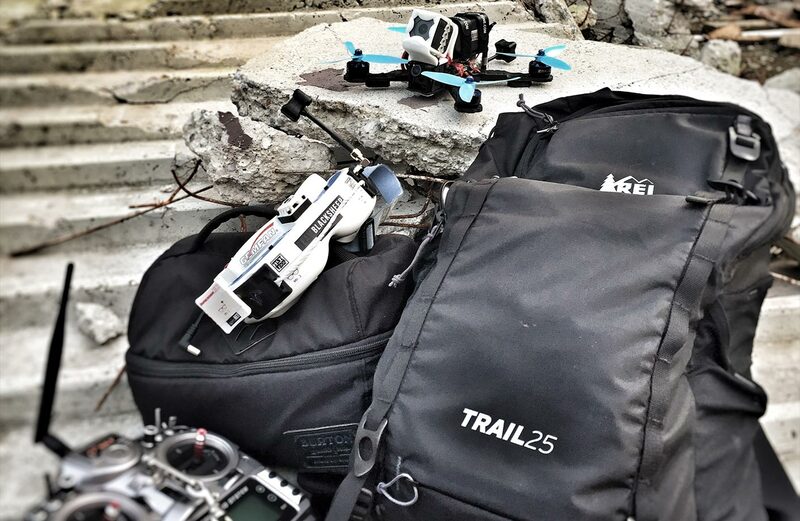 Video transmitter (VTX): Team BlackSheep Unify Pro – The best and rock solid video transmitter around! From 25mW for races to 800mW for the most extreme freestyle or long range session! And it’s the size of a post stamp, awesome. Antenna for VTX: Team BlackSheep Triumph – From the mad genious IBCrazy and the TBS staff, the sweetest antenna around with awesome reception for a crystal clear video even indoor. Receiver: FrSky XSR – The smaller brother of the X4R-SB, a bit less range but works great for every races I’ve been at and even in freestyle sessions. I like it because I can install it below the fc and pdb stack on my frame with more room for everything else. PDB: Matek Mini POWER HUB – Still running an easy and simple PDB from Matek, it’s reliable and has everything I need. LiPo: Marka Racing 1300mAh 4S 110C – Awesome performing batteries for our drones from an italian manufacturer leader in the MiniZ cars world. [OLD BUILD WARNING] I'm finally upgrading my Whoop build! Updated setup coming soon! Frame: Blade Inductrix Frame – The stock Blade Inductrix frame, it’s great and has the standard lipo mount. Today I recommend the new Cockroach Super-Durable Frame from NewBeeDrone since it’s lighter and more durable! Flight Controller: Eachine Beecore Acro FC – A cheap alternative to other Tiny Whoop acro solutions, I wanted to try it and it kinda works but the quality is low and very often goes bad, go get the awesome original BeeBrain! Motors: MMW Motor (Speed: Fast) – The stock TW1 Tiny Whoop Race Edition motors, awesome for indoor flying! For outdoor flying you must have no wind, or go get some better ones at NewBeeDrone! Props: Eachine TinyWhoop Props – Just some props, they are cheap and works great as the official ones. FPV Camera + VTX: FX805 Super Light Mini AIO – The best camera you can get for your Tiny Whoop if you ask me! Light and with a tilted mount included, will not move or shake while you whoop the hell out of everything! LiPo: Marka Racing 180mAh 1S 45C – With the Speed: Fast motors you want to stay as light as you can, and these Marka batteries are a perfect companion for you whoop, charging them at 4.35V no problem. Goggles: Fatshark Dominator V2 + Faceplate – Old but gold, didn’t yet upgraded to a newer and fancier pair of goggles just because these works great for me, been using them for two years now. Today the best way to go are Fat Shark Dominator HD3. Video receiver (VRX): LaForge V2 Receiver + Diversity Module – The best goggle mounted recevier and diversity setup you can buy, has proven rock solid with the video feed offering maximum clarity and great performance anywhere. Antennas for VRX: TBS Triumph + ImmersionRC SpiroNET Mini Patch Antenna – My current favorite setup of antennas to have on my goggles, a Triumph for a wide area around myself and the Mini Patch for when you need that extra help behind obstacles in front of you. 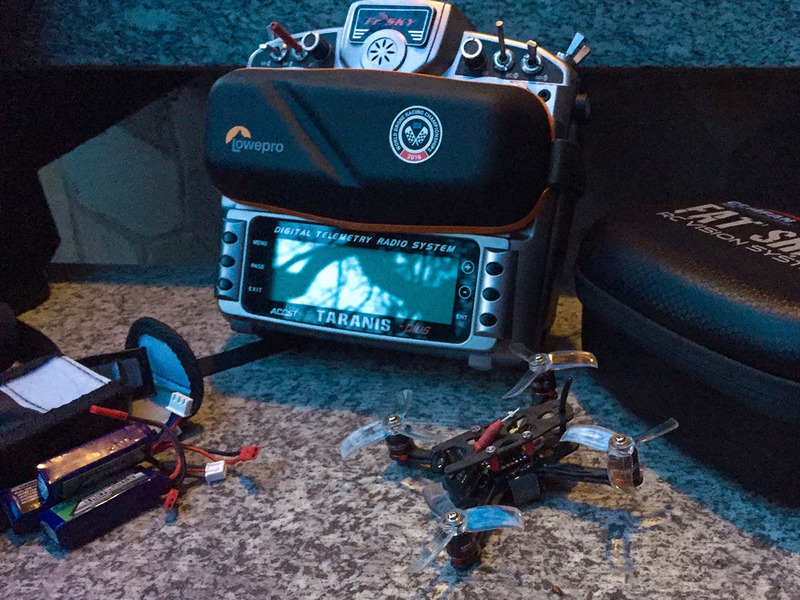 Radio Transmitter: FrSky Taranis X9D Plus + 5dbi Antenna Mod + M9 Gimbals – The perfect radio for miniquads, it’s easy to use and setup with plenty of resources online, nearly everyone has this radio in the hobby. The radio link is solid and receivers are small, powerful and cheap. With the M9 Gimbals the improved sensibility and precision makes it even better. 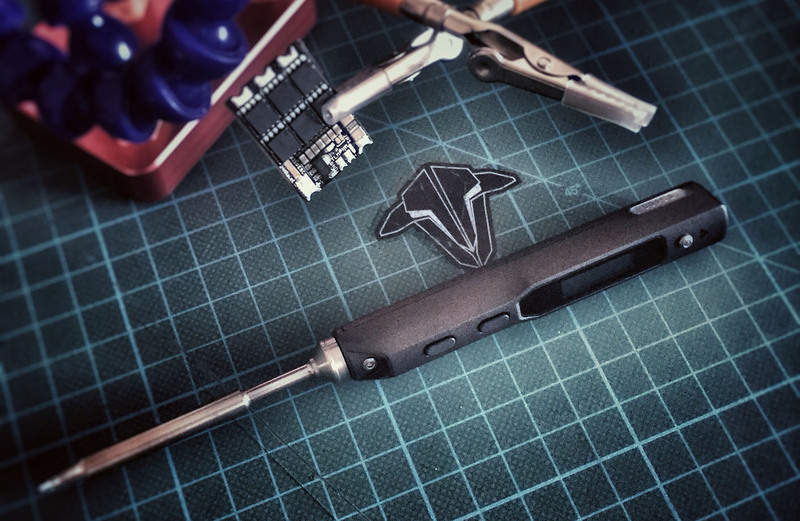 Soldering Iron: SainSmart TS100 – Since I got the TS100 both my Weller and Hakko soldering stations are just getting dust, this with the standard tip it’s everything you will need! From the smallest ESC to the biggest XT60 on a PDB solder you will have to do, this little guy will make it no problem. Go get it, period. LiPo Charger: iSDT SC-608 – iSDT is making these awesome micro yet powerful and great chargers you can use at home and at the fileds easily, today I recommend the newer and more powerful iSDT Q6 Plus model at just 10 bucks more. Parallel Boards: iSDT PC-4860 – For the big guys with the XT60 connector, plus this board for charging multiple TinyWhoop batteries with both standard and powerwhoop connector.